Suitable for 4mm, 6mm, 10mm, 16mm, 25mm, 32mm and 35mm polycarbonate sheet and glass. The Hip Rafter Glazing Bar pack includes aluminium hip capping ,clip in cover, base gasket and cap gaskets . The aluminium endcap doubles up as a glass stop. The rubber gasket is 60mm wide and aluminium top cap is 85mm wide at its widest point. 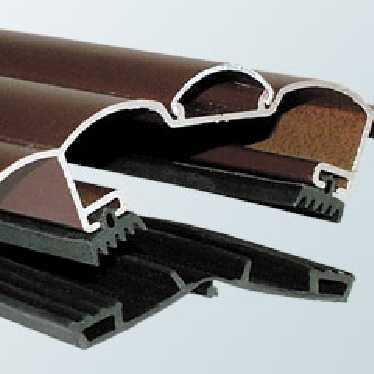 The rafter gasket has a removable central pip. This can be used to aid positioning the gasket if a 3mm groove is made in your hip rafter. This is a versatile screw down bar which can be used for a wide range of roofs. Deduct 15mm from your rafter/glazing bar centres to allow for the screw fitting and expansion/contraction of the glazing panels. There is also a matching ridge capping. 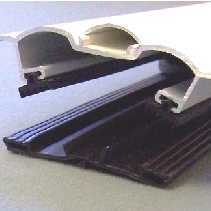 The Hip Rafter Glazing Bar is available in white and brown. I would recommend your affordable products (Glazed Roof Components | Aluminium Rafter Supported Glazing Bars | Aluminium Hip Rafter Glazing Bar, 4.0m) to anyone else considering this product, as it has been superb. Omega Build Shop | Glazed Roof Components | Aluminium Rafter Supported Glazing Bars | Aluminium Hip Rafter Glazing Bar, 4.0m. You are viewing Glazed Roof Components | Aluminium Rafter Supported Glazing Bars | Aluminium Hip Rafter Glazing Bar, 4.0m, buy online today!